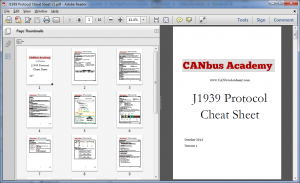 Welcome to CANbus Academy’s resources page. Here you’ll find some key SAE J1939 & CAN bus Protocol resources that will for sure help you. As we come across more useful information, this page will be updated with additional resources, so make sure you check back soon & sign up to receive notifications about updates. 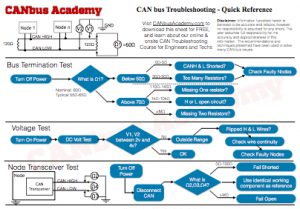 Quick reference sheet to help troubleshooting CAN bus. 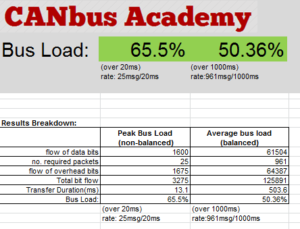 Estimate the bus load of you CAN bus network. Excel spreadsheet where you can enter the messages, message rate, protocol (11bit vs 29bit) and data rate. Free CAN bus Analyzer for Arduino. Handy protocol reference chart you will want to take with you everywhere!